Nicholas Charles Sparks is a very well known American novelist. A number of his published works have been adapted into movies. He is also a successful screenwriter and producer. He is best known for his novels and movies Message in a Bottle, Dear John, A Walk to Remember and Nights In Rodanthe, among others. His most popular book and film was The Notebook, which he wrote in 1995. It was turned into a film starring Rachel McAdams and Ryan Gosling in 2004 where it was a box-office hit and gained a cult-following. Nicholas was born in Nebraska to Patrick and Jill Sparks in 1965. His father was a scientist and his mother was an optometrist’s assistant. Sparks was the middle child with an older brother and a younger sister. His sister, Dana, died of a brain tumor in the year 2000 at the age of 33. He said she was his inspiration for the hit novel turned movie, A Walk to Remember. While his father was pursuing his graduate studies, the family moved around a lot during his childhood years. They eventually settled down in Fair Oaks, California, where he attended high school. Sparks graduated as valedictorian in Bella Vista and earned a full track-and-field scholarship at the University of Notre Dame. He graduated college with honors, receiving a degree in business and finance. Sparks wrote two novels during his college years, The Passing and The Royal Murders, but these were never published. Right after graduating, he sought to work with publishers or further his studies in law school. He was rejected for both attempts, so he tried out different careers. He spent his time waiting tables, getting into real estate, selling dental products, opening his own business. It was not until the year 1990 when he had the chance to co-write a book entitled Wokini: A Lakota Journey to Happiness and Self-Understanding, which was published by Random House, Feather Publishing, and Hay House. Although the book sold 50,000 copies on the year it was first released, Sparks did not pursue his writing career. He went back to selling pharmaceuticals right after it was published. It was not until 1993 when he decided to start writing again. This was the year he wrote The Notebook, which was discovered by a literary agent, Theresa Park. Eight of Sparks’ novels have been turned into films. Two novels are in production and are expected to be released in the years 2014 and 2015. His films have received rave reviews and are known for their heavy drama. 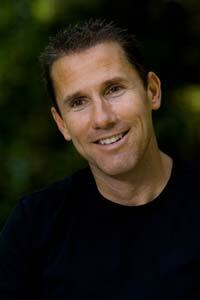 Now, Nicholas Sparks is a best-selling author and well known screenwriter who is still at the peak of his career. Sparks now resides in North Carolina with his wife and family. He was raised as a devout Catholic and shares his faith with his children. He has three boys and twin daughters with his wife, Cathy, whom he met during spring break during his college years. Not only is Sparks a well known storyteller, he is also a philanthropist. He opened The Nicholas Sparks Foundation to support all the charities that are close to him. The foundation aims to support and inspire students all across the nation.